Every business owner knows that trends, products, clients, and styles are always changing. To keep up with the times, your website should adapt to these changes. While websites constantly require minor upkeep, how do you know if your website needs a total makeover? Ask yourself the following five questions. If you answer “no” to any of them, then you probably need to revamp your website. Is your website is mobile friendly? Just because your site looks fabulous on the desktop does not automatically mean users can painlessly maneuver it on their smartphones. Websites that haven’t joined the mobile-friendly movement are hurting themselves. The number of mobile users has been on a steady incline over the years. How do you know if your website is responsive to mobile devices? The test is simple: pull out your phone and explore your site. If images or information are squished together, or certain features don’t even work, then your site is not mobile friendly. 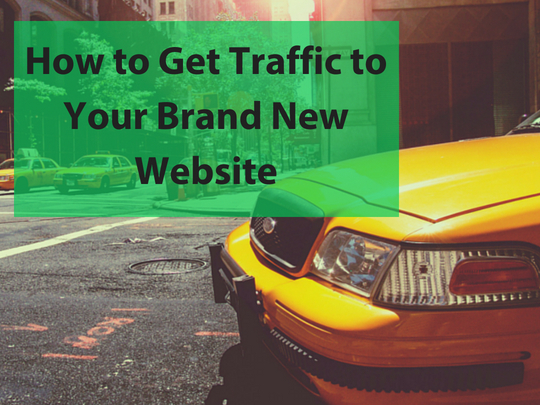 Is your website traffic growing? When it comes to your website, it should help build your clientele, not harm it. Consistently check your website traffic analytics. If the growth of your company has plateaued, or worse, declined, then your website needs to be revitalized. Every feature on your website should be intentional. If it’s not, that means you’re wasting precious space that could be used to expand your reach. This question is for both you and your users. Can your users seamlessly navigate your site? Can you customize your website without having to spend hours watching video demonstrations just to reformat an image? The bottom line: if your website is difficult to use, then people won’t spend time on it. If your website is difficult to edit, then you won’t want to improve it. Does your website accurately represent your brand? It’s important for every business to maintain consistency, even on their websites. If you are even slightly embarrassed by your out-of-date website, you need a new one. You wouldn’t let your employees misrepresent the values of your company, so why would you permit your website to do so? Innovative and forward-thinking brands should not associate with websites that look like they are from the prehistoric era. Are you completely happy with your website? The thing is, there is no excuse to not be totally proud of your website. If you don’t feel comfortable showing your site to friends and family, that’s a red flag. Do you sometimes cringe when you compare your website to your competitors? Do you secretly hope that your site doesn’t steer customers away from your product? If so, you absolutely need a new website. If you know that your website needs a transformation or some minor tweaks, contact WebRevelation today for a free consultation. We offer and a variety of services to make your website mobile friendly, to increase traffic, to make it easy for you and your clients to use, and to represent your mission. You deserve to be proud of your website, so contact us today. One of the most exciting things about launching a new business is putting your brand-new website online. However, one of the most frustrating things about putting a fresh web presence on the internet is that it can take a while for customers to notice. Attracting web visits can be a challenge for any business. For one with no history or name recognition, though, it can seem impossible to get buyers to find the site and refer their friends. 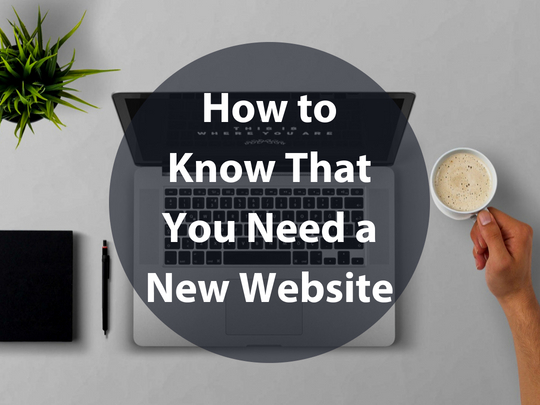 Your first source of website traffic will probably come from people who already know you and are excited for the launch of your new business. Chances are you won’t have to send these folks an email to alert them about your new venture, but you should do so anyway (assuming you have their opt-in permission). Not only will it remind them that you're open for customers, but they may forward your message and generate referrals from their friends and colleagues. Some entrepreneurs dislike the idea of using paid search and social media ads, particularly at a time when marketing budgets might be low. However, you can use advertising on Facebook and Google to narrow in on your perfect customers – whether you want to sort them by location, interest, demographics, or other factors – greatly increasing your odds of making those all-important first few sales. Online advertising can be a great way to kickstart your sales and brand recognition efforts. It’s not a bad idea to spend a few dollars boosting your content updates and email newsletters on Facebook, given that you can often reach thousands of buyers for less than you would spend on a cup of coffee. That’s a particularly attractive proposition for new businesses that don’t have much in the way of existing web traffic or awareness within a target market. Consider boosting your content with existing fans and others who are interested in the same types of products and services. You might not have any existing web traffic, but others in your industry probably do. It goes without saying that your competitors are going to send people your way, but what about colleagues in related fields? By guest posting to their blogs, or providing some kind of special offer they can promote through their email newsletter and social media profiles, you might be able to reach thousands of potential customers or clients who might not have otherwise heard of you. You can use the tips we have given you so far to bring first-time visitors to your website. Don’t forget, though, that one of your important goals is to keep them coming back again and again. You can do that by having them sign up for an email newsletter, receive coupons through social media, or giving them some sort of instant and downloadable offer. Whatever method you choose, try to give them a reason to not only return to your website soon, but to tell their friends and contacts to do the same. Looking to launch a brand-new website and see your business grow quickly? Talk to the WebRevelation creative team to learn more about our web design and online marketing services today! Any major purchase you make for your business is going to require a bit of ongoing maintenance. 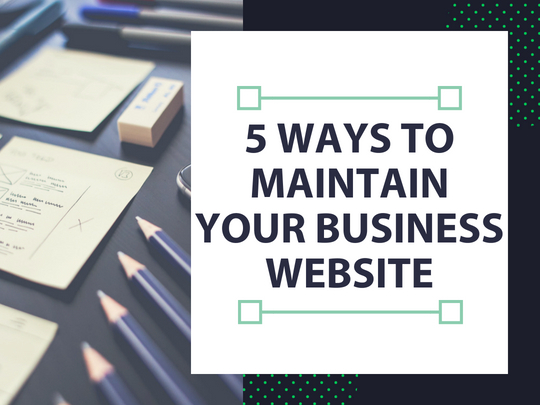 You wouldn’t invest in a building or vehicle with the expectation that you could simply forget about it, so why do so many business owners overlook their websites? Luckily, it doesn’t take a lot to keep your web presence running smoothly. However, there are a few things you’ll have to do if you want to get the most from the investment of time and money you put into getting it online the first place. You should make a point of reading through your website once in a while and ensuring the content on your pages is still accurate. It’s surprisingly easy to let things like calendars, employee profiles, and product pages become outdated. When that happens, customers aren’t getting accurate information about your company, which can lead to misunderstandings and lost sales later. As your business grows, your website should grow right along with it. You might add new pages for new locations or product groups. Or, you could put in additional employee bios as your team grows. You could also grow your site with new articles and reports that improve your credibility and bring fresh search traffic. You could even consider adding plugins that give customers and vendors the features they’ve been asking for. The important thing is that your website keeps growing month after month. Most businesses rely on a content management system and a series of plug-ins to not only build a profitable business website, but keep adding new features over time. It’s important that these be updated frequently so they remain stable and secure. Additionally, you might think about replacing old plug-ins with newer ones, which can have the effect of speeding up your website while making it more valuable to users. When you dig into your web analytics package it’s like you’re checking the gauges and indicators on your business website. If there is anything that might disrupt the flow of traffic to your pages, or your ability to generate conversions, it’s better to know about that sooner rather than later. Additionally, you can use the statistics from your website to optimize your marketing campaigns in addition to troubleshooting any underlying problems. A website audit is simply a deep dive into the HTML beneath your layout. A web designer can use the number of tools to test things like speed, content strength, link quality, and other factors to see whether your website is visible and usable to customers. These kinds of checkups should be performed regularly (at least once a year) so you can stop any minor issues from becoming costly problems later. Need Better Web Design or Online Marketing Advice? Business owners and executives throughout San Antonio and Oklahoma City know the WebRevelation team because we deliver quality, service, and results. If you are thinking about taking your business to the next level, now might be the perfect time to contact us for a free consultation! There is a common misconception within the business world that web programming – also known as custom web development – is only for huge businesses with enormous budgets. However, that’s far from the truth. In fact, small and medium-sized businesses often have the most to gain from working with a talented programming team. There are dozens of ways you can increase your revenue using custom web applications. You could automate data collection from prospects, customize your marketing campaigns at a regional or individual level, and even create add-on e-commerce opportunities with apps that upsell. Whether you serve customers in a retail, wholesale, or business-to-business setting, there are probably parts of your website that could be improved with custom functionality. It’s amazing what a small investment of time and money in web development can bring you in terms of new sales opportunities. It’s almost always more cost-effective to keep your current customers, or sell more to them, than it is to spend money finding new buyers. Luckily, this is another area where you can get more from web programming. Imagine being able to automate things like repeat orders, shipment tracking, and customer returns. Or, think about what it would be like to have detailed information on every interaction with a buyer at your fingertips, and to be able to make decisions based on those insights. That’s the power of smart web programming, and how you can use it to improve customer retention and repeat sales. This is an area of web development a lot of business owners and executives tend to overlook. That’s because most of them are focused on adding new features that increase sales, even though they could save time and cut costs by managing employees and vendors more efficiently. Using the right custom software you can schedule teams, manage large projects, and even allow for real-time collaboration between different groups or locations. You can also store documents, manage payroll and benefits, and identify work that is being duplicated. Those are all great ways to trim a bit of fat from your bottom line and make your business run leaner and meaner. Want to Learn More About Web Programming? 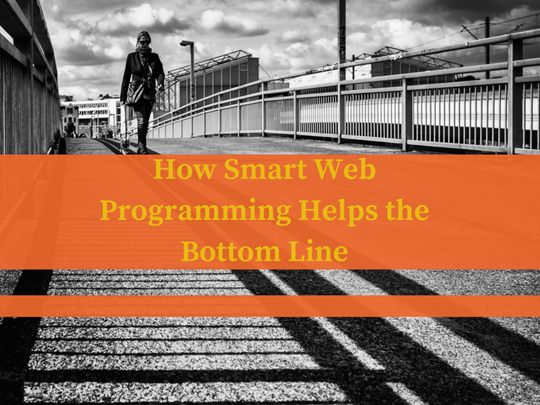 It’s one thing to learn about the benefits of web programming, and another to realize it could help you reach the business goals you have in place. Why not contact the development team at WebRevelation today and let us show you how we can use the right tools and expertise to boost sales, lower customer service costs, and make it easier to manage your team? You can use the internet to attract customers to your business from around the globe. As more and more marketers are discovering, however, the most cost-effective way to use your website and social media accounts is to target buyers within your own city or neighborhood. 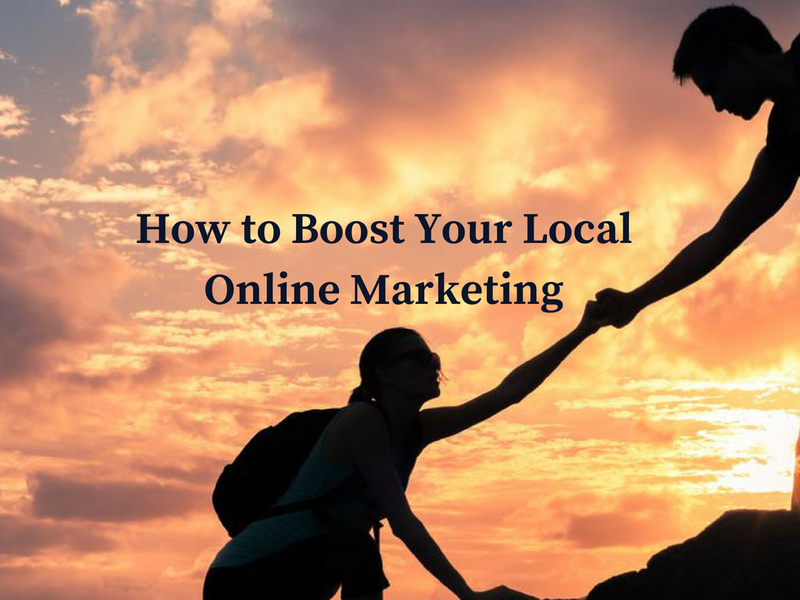 Local online marketing is inexpensive, works quickly, and helps you build a base of customers who are likely to stay with you for years to come. Best of all, it’s easy to find local buyers if you simply follow a set of proven tips and best practices. You probably already know that Google uses automated spiders to crawl your website and identify certain terms that match up with search queries. What you may not realize is that it will do the same thing to identify geography. So, if you use certain city or state names, neighborhoods, landmarks, or other terms related to a specific location, that makes it easier for search engines to determine where your business is located in the real world. Then, that information can be passed on to searchers. In addition to general location-specific keywords, you’ll want to have maps, phone numbers, and driving directions on your website. If you have multiple locations, you could create separate pages with information for each store, facility, or office. That gives you more geographic content for Google to read, while at the same time increasing the odds that someone who is interested in the products or services you sell will be able to find their way to your front door. Google doesn’t only rely on the information it finds on your website to determine location. That’s because it knows websites get out of date all the time. So, it pulls corroborating data from other sources like business directories, Yelp profiles, and even social media accounts. You should ensure these stay up-to-date at all times, since you’ll get a local search engine visibility boost if your contact details (like address, phone number, etc.) are consistent through each listing. When local buyers say good things about your business on Facebook, Yelp, or Google Business, that creates more content and engagement that can lead to search traffic. It also generates a sense of positive “buzz” that encourages buyers who might have been skeptical about your company to go ahead and either buy from you or make an appointment. In that way, positive reviews both enhance your local online visibility and help you to make the most of it. At WebRevelation in San Antonio and Oklahoma City, we have a team of experienced designers, marketers, and programmers who are ready to help you take your business to the next level. Whether you need help with local online marketing or large-scale web development projects, we are ready to step in. Contact us today to set up a free consultation! 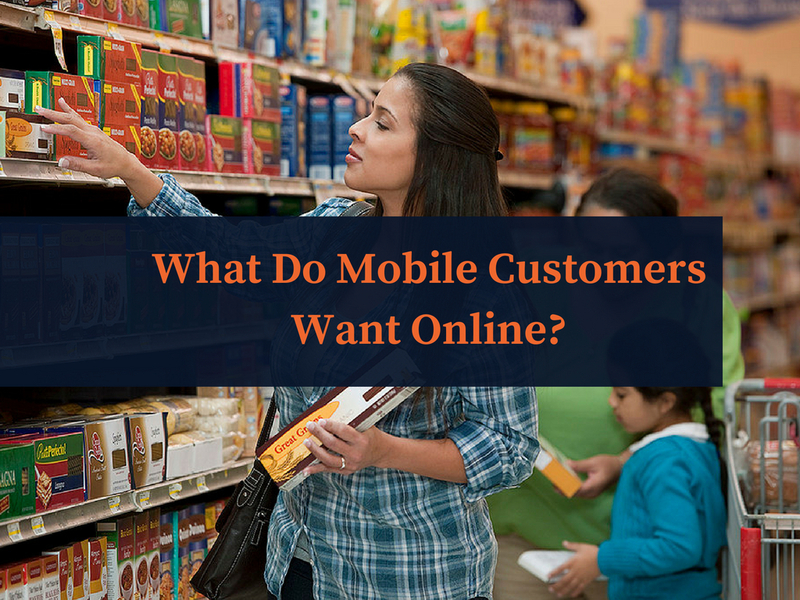 What Do Mobile Customers Want Online? If you’re a business owner or executive who cares about online marketing, you’ve undoubtedly come across some of the eye-popping statistics around mobile web usage. Smartphone and tablet users now make up the clear majority of all internet users. Google estimates that 25% of its searches originate from mobile devices. Mobile ecommerce is poised to overtake purchases from laptop and desktop computers in the near future. These realities about the changing online landscape show up again and again. What’s missing, for a lot of decision-makers, is a sense of what to actually do about it. It’s one thing to know there are lots of customers and prospects using mobile devices, and another thing to figure out what they want from you. This might seem like a basic and obvious point, but it’s one that a lot of business people seem to miss. If the majority of your customers (or even just a large percentage of them) are arriving through phones and tablets, then it only makes sense that your website should be accessible through these devices. Note that you don’t have to lose your existing layout or features to be mobile-compatible. In fact, most of our clients opt for responsive web design that changes its appearance and display based on different screen sizes and platforms. With just a little bit of coding, you can create a web presence that’s accessible to all your customers. It’s a known fact that today’s internet searchers and customers are a lot less patient than they used to be. That’s especially true when they are viewing your site on a small screen or a connection that isn’t coming through a cable. If you want to hold the attention of your mobile customers then you should do everything you can to speed up the delivery of your pages. That could mean opting for faster web hosting, or it might involve optimizing images, layouts, content blocks and even plug-ins. There are a lot of ways you can speed up your site, and they’ll all help you to win more business from customers using phones and tablets. It goes without saying that your website needs to act as a sales funnel, guiding searchers through multiple questions or pieces of information until they are ready to complete a purchase, make a call, or perform some other action. However, when it gets to that all-important conversion step, you don’t want mobile users to feel like it’s a hassle to work with you. So, you should consider replacing long forms or complicated menus with simple buying prompts or click-to-call buttons. You’ll increase your response rates with all types of buyers, and especially mobile users. Does Your Online Marketing Strategy Work? If you don’t have an online marketing strategy, or if you aren’t convinced the one you have is leading you in the right direction, now is a great time to schedule a free consultation with the WebRevelation team. Contact us at our offices in San Antonio and Oklahoma City today. We will be happy to review your current website with you and show you how you can start getting more from the internet.